Ostoform was founded by Rhona Hunt, Chief Clinical Officer and Dr Kevin Kelleher, CEO. The project behind Ostoform was led by Dr Leonard O’Sullivan in the Design Factors Research Group in the School of Design. The project involved collaborative clinical and user centered research with several stakeholders in ostomy care in the University Hospital Limerick, and in the Health Research Institute in UL. “I am over the moon and speechless,” said Kevin Kelleher. “We are solving a problem for patients and it is fantastic to be able to do that and get rewarded for it. This is exactly what we need to build a relationship with the end user (patient) and go to the next stage where we can build the brand and build brand recognition, become a thought leader in an area that is niche, but as a main competitor,” he continued. Ostoform won the top prize package from AIB valued at €200,000, including a €20,000 cash injection, designed to bring their start-up to the next level. The first runner up of the Academy was Frankman, who produce men’s grooming products followed by Ailbhe Keane with her company Izzy Wheels which creates a range of customised spoke guards for wheelchairs. Paul Dillon, Director of Technology Transfer Office at UL, described the project as "a great example of the Irish knowledge transfer system pulling together to develop a solution that that addresses a significant clinical issue. The project received vital funding under the Enterprise Ireland Commercialisation Fund and also received important support from the Bioinnovate Programme." 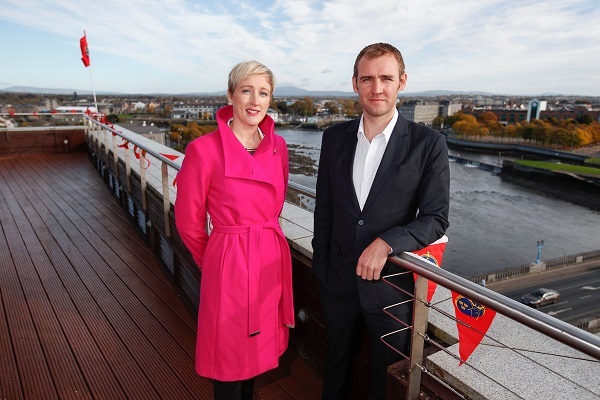 The AIB Start-up Academy final was held in The Light House Cinema in Smithfield and saw 14 finalists pitch to a panel of expert judges in a bid to win the top prize. After eight weeks of training from industry experts, in areas like marketing, sales, social media and finance, each finalist was given five minutes to pitch their business followed by five minutes for questions and answers from the judging panel. Ostoform is no stranger to awards, having received the Enterprise Ireland Commercialisation fund and won Best University Spin-Out at the InterTrade Ireland Seedcorn Investor Readiness Competition, and the One to Watch Award at the Enterprise Ireland Big Ideas event.